The 2006 HONDA RANCHER 400 for Sale features SELECTABLE 2WD/4WD BUTTON, 2 DRIVING MODES, FULLY AUTO-GAS AND GO, OR ESP MODE: ELECTRIC SHIFT. The 4X4 is VERY CLEAN, FULLY SERVICED with just 2900 MILES on it. If you're interested or need more details you can contact me by calling me or sending me a text (NO EMAILS) at , 802 236-0eight 85 or 802 446-91three4 and when you do don't forget to mention that you found my ad on GoGoCycles Used ATVs for Sale and I'll get back with you as soon as possible. GoGoCycles encourages our visitors to write a review of the used Honda Rancher for Sale in this ad if they had experience with it to help potential buyers make informed decisions and to benefit the biker community as a whole. 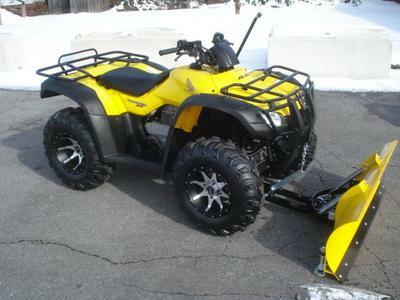 The 2006 HONDA RANCHER 400 for Sale is located in new Hampshire NH and my asking price is just $3495 NO TRADES, CASH SALE.